Innity has been appointed as the exclusive media sales rep for Zuji in Hong Kong with immediate effect. The partnership will allow advertisers and marketers to choose from a range of advertising solutions, which includes standard banners, rich media ads and custom sponsorship opportunities. Pioneering online travel since 2002, Zuji has an online member base exceeding 1 million travellers and currently operates in Singapore, Hong Kong and Australia, and have since enabled over 3.5 million trips around the world. Zuji Hong Kong reportedly attracts 650,000 unique visitors per month and receives 7 million monthly page views, making Zuji a Top 50 publisher in the country. 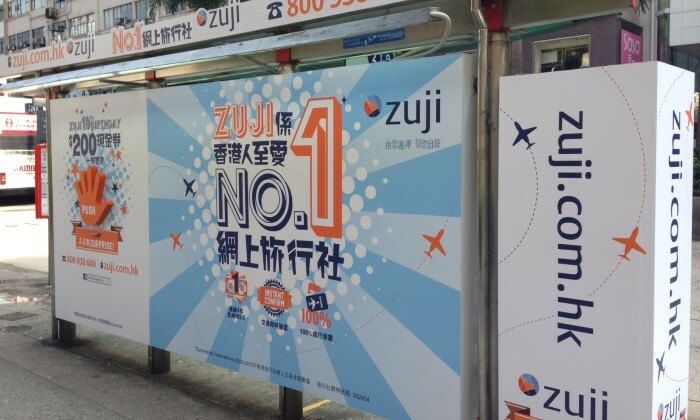 “Zuji is one of the strategic destinations on the web for advertisers aiming to reach the lucrative travel market. We’re pleased that Zuji chose us to monetize their portal. There’s a great synergy between our organizations and we believe Zuji will be a good addition to our product offerings,” said Andrew Lim, general manager at Innity Hong Kong. “With their strong presence and solid relationships, we are confident that Innity is the best partner to help drive our business in both countries. We look forward to working even more closely with them in the coming years,” added Charlie Wong, CEO OF Zuji Hong Kong. Innity has also recently signed a media representation agreement with Zuji in Singapore and the agreement will be elevated to an exclusive partnership in May. Does having more routes and flights mean more bad ad campaigns? .. The government and public sector has experienced the biggest increase in digital spending amongst all the other industry sectors, ..
How marketing campaigns in Hong Kong builds a local and regional customer base of future guests for overseas hotels owned by Rosew..